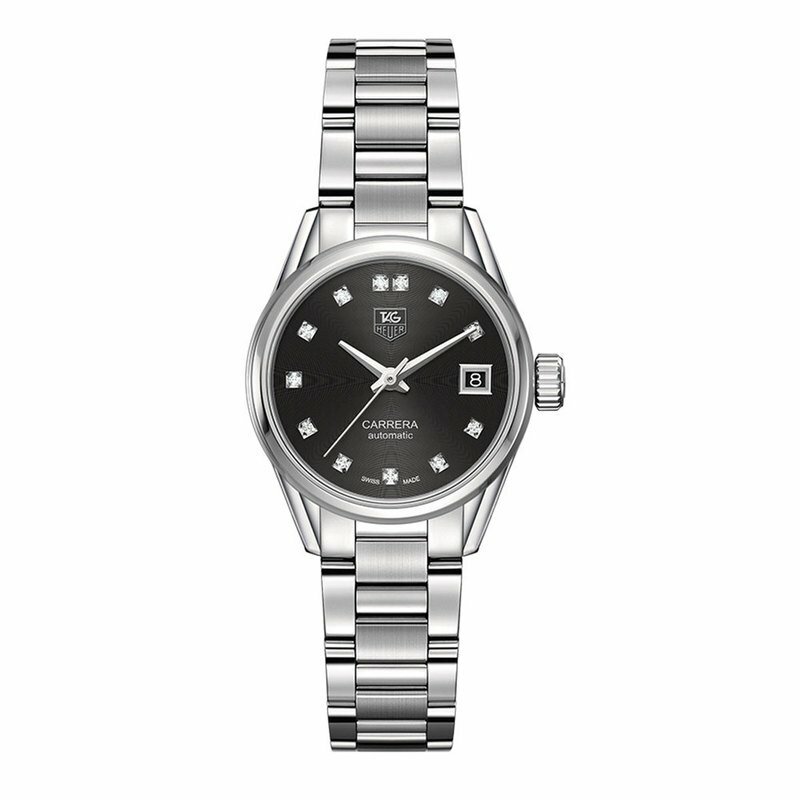 This luxurious CARRERA Lady Calibre 9 automatic watch from TAG Heuer features a black mother-of-pearl dial with sparkling diamond indexes. Silver-tone hands and a date window at 3 o'clock complete the dial. A scratch-resistant sapphire crystal with double anti-reflective coating protects the 28mm stainless steel case. A folding clasp with safety push buttons secures the stainless steel bracelet, and the women's watch is water-resistant to 100 meters.